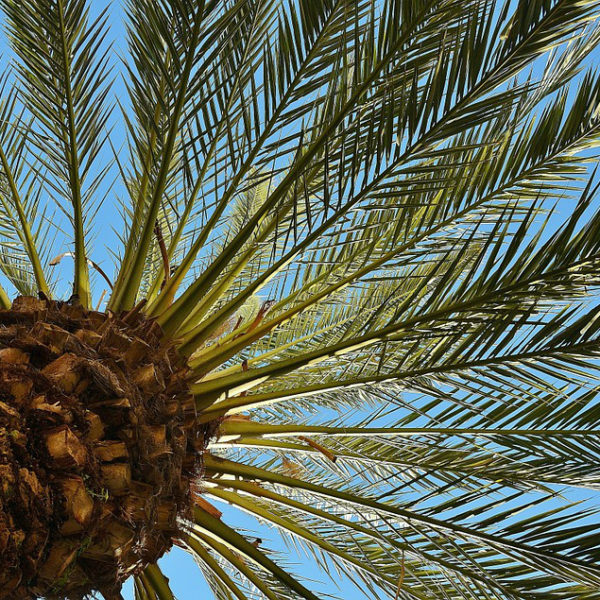 This is the species of Date Palm known for its sweet edible fruits. 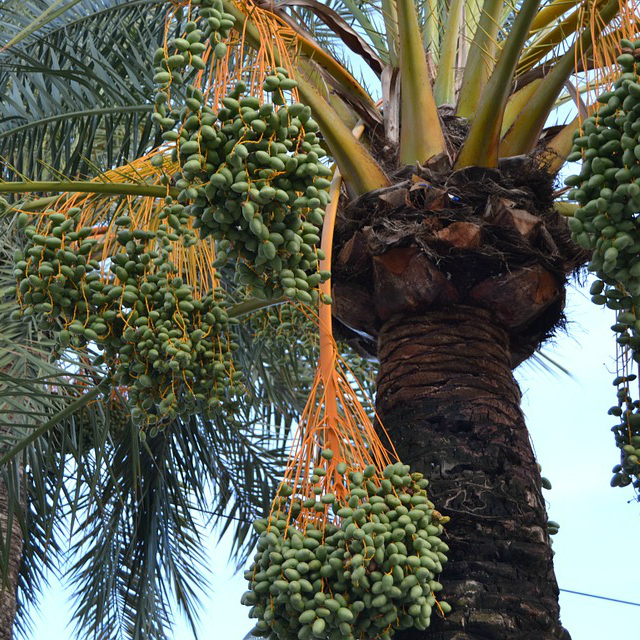 Both a male and female tree are needed for the production of dates, but regardless of fruit production Date Palm is a beautiful landscape tree. 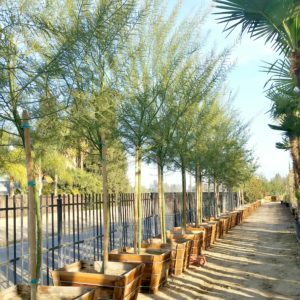 It has feather shaped pinnate fronds and a very tall single trunk with a woven stacked texture where previous leaves have been removed. 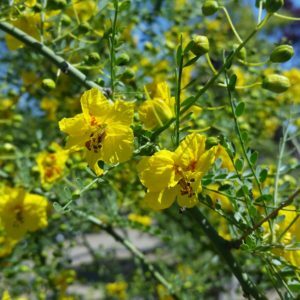 A native or Northern Africa, it thrives in hot dry climates. 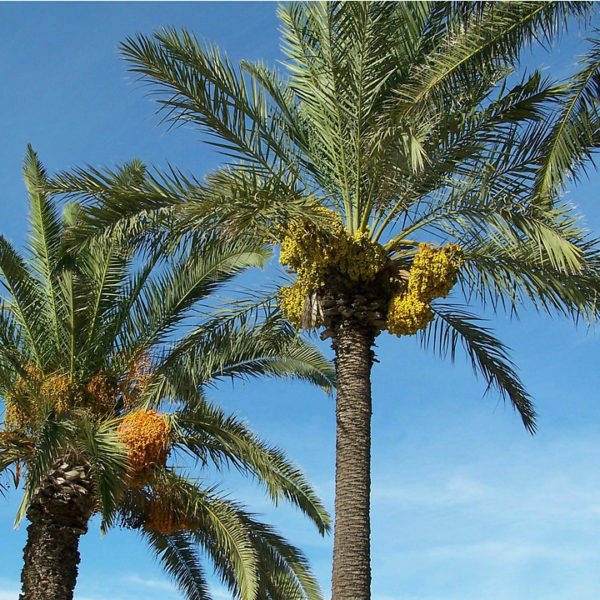 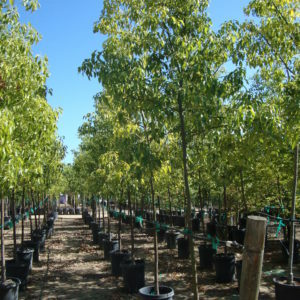 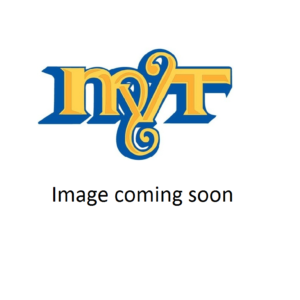 Categories: Drought Tolerant Trees, Evergreen Trees, Palms & Cycads, Trees, Trees By Size, Trees by Size: Large (40'+). 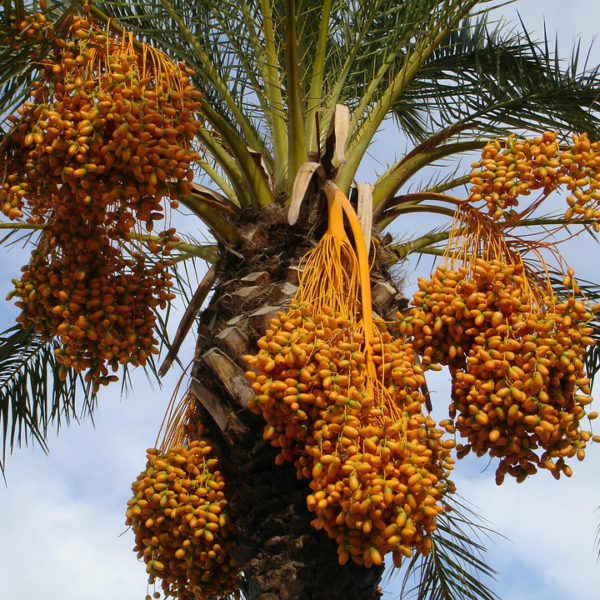 Tags: Coastal Garden, Date Palm, Deer Resistant, Edible Fruits, Feather Palm, Firewise, Phoenix dactylifera, Pinnate Palm, Tropical Garden, Waterwise, Wildlife Garden.